The year was 1852, in the midst of the new industrialization and the liberal revolutions in Europe, Napoleon III established the Second French Empire to relive the moments of glory France had gone through decades before. The rising tension between the different social groups in this industrialised France, together with the crisis of traditional values and social structures created a scenery of political and social chaos which needed a drastic solution to reunite French society. This effort came by the hands of Napoleon III and took form in the Second French Empire which returned to the values and preferences of higher bourgeois classes. This protection of the wealthy, in a moment in which the lower working classes were going through a rough industrialization, is perfectly reflected in what has come to be known as “Second Empire” style, both in architecture and interior design. This style is marked by the exuberance in forms, details and materials. A sort of neo-barroque style which tended to fill every space with a sense of abundance and excess. ST Dupont was founded in 1872, right after the Second Empire was over. As a way to celebrate its 140th anniversary the French brand has created a limited edition series inspired by the Second Empire Style which comes in two different versions: Prestige and Premium. 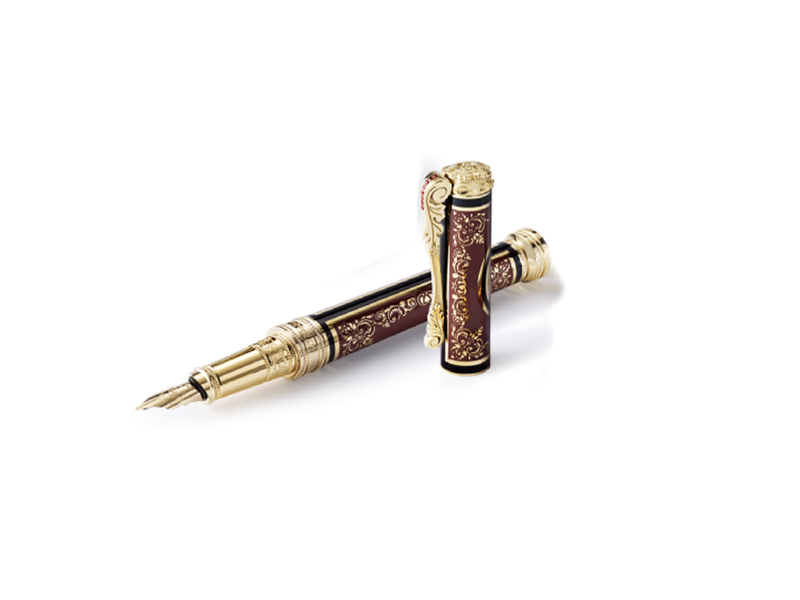 The ST Dupont Second Empire Prestige Fountain Pen is finished in brown lacquer with golden trims. 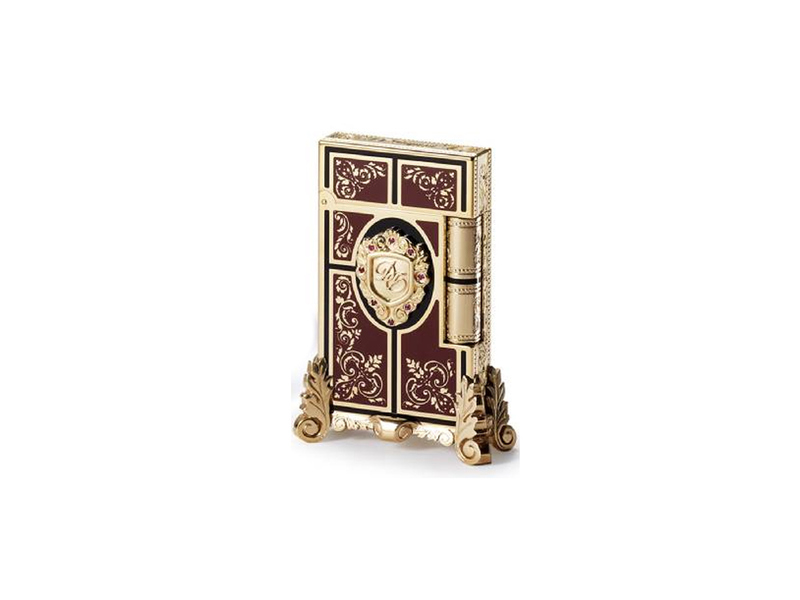 Its design is very sophisticated with beautiful decorative elements including 8 hand set rubies on the clip. The clip is made of gold plated bronze and together with the engraved finishes on the cap and barrel resembles the fine furniture used in this period. The ST Dupont Second Empire Premium Fountain Pen is another beautiful piece, with a more modest design but with all the elegance and beauty of the Second Empire Style. 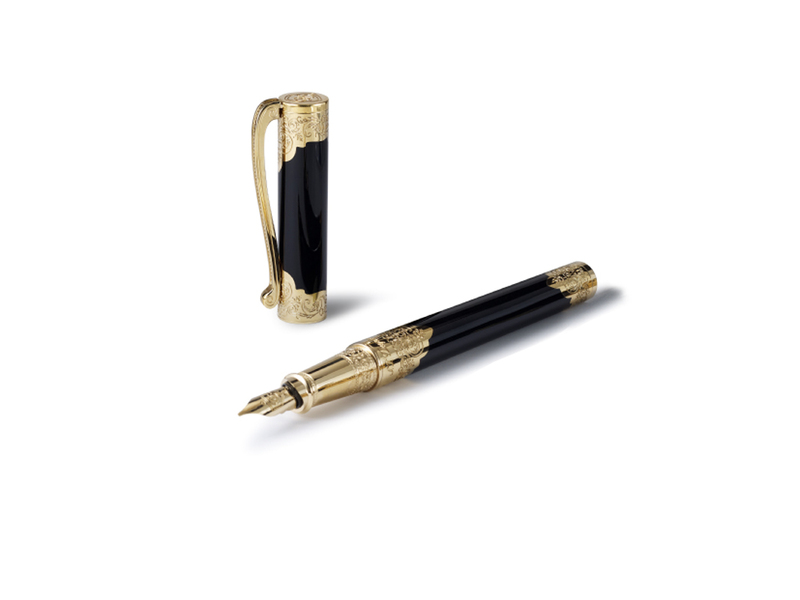 The pen is finished in black lacquer and golden accents along the central ring, the cap, bottom and clip. The clip is fashioned with the form of a Second Empire table leg! Both the Prestige and the Premium versions include a rollerball pen and a line 2 lighter as well!! Any different between full set of “S.T.Dupont Second Empire Prestige Ligne 2 Lighter” and “S.T DUPONT LIMITED EDITION PRESTIGE SECOND EMPIRE STYLE LIGNE 2 LIGHTER” ? By the title of the lighter, I think both are the same. There could be a Premium Edition, but those two are prestige, so I guess it is the same. Feel free to write back if you have any further doubts.